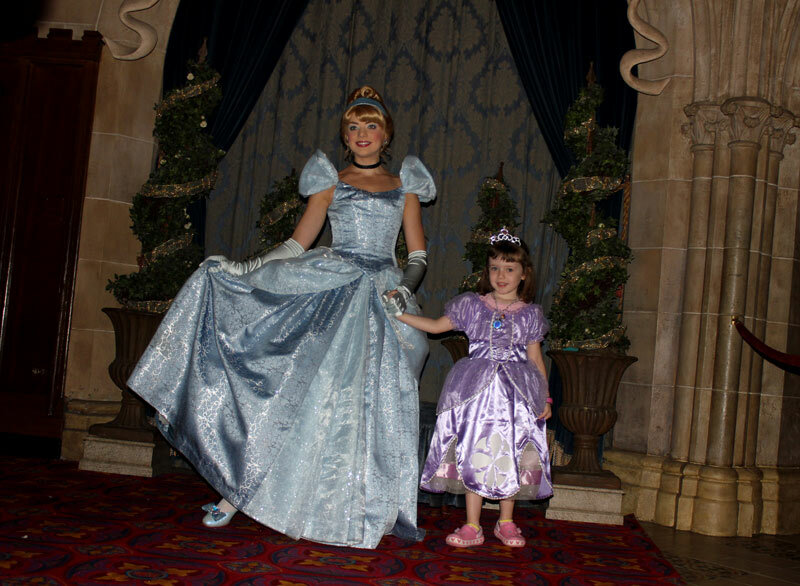 Sophia (and the rest of us) enjoyed a Disney Princess Breakfast at Akershus Royal Banquet Hall, Walt Disney World in October 2013. She got to meet Snow White, Princess Jasmine, and Princess Aurora at the breakfast itself, as well as pictures with Cinderella. The food was actually really good, too (bacon, sausage, scrambled eggs, potato casserole, fresh fruit, and cinnamon rolls). Sophia absolutely loved it (Parker had a pretty good time too, as did the grandparents, Jake, and the rest of us).